Are you on the road? Or unable to get to your PC or laptop? With the apps of LYNX, that’s no problem at all. 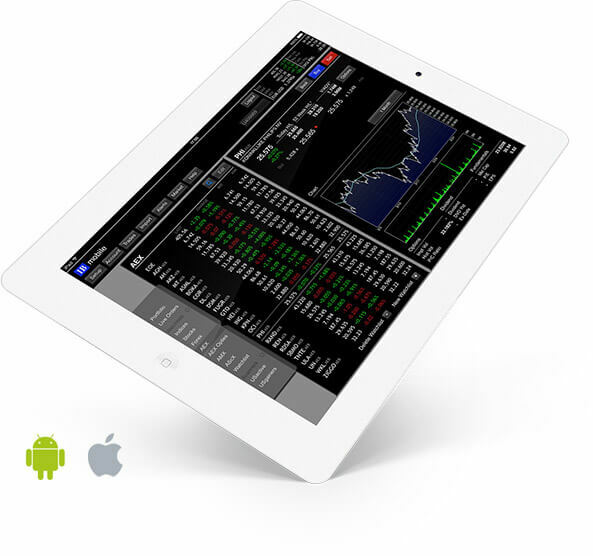 Our mobile apps give you access to the stock markets and your personal account at any given moment. As one the first brokers, LYNX has given its investors the possibility to place orders and monitor positions and portfolios in real-time by mobile phone. Whether you use iOS or Android, the LYNX Apps have proven their worth on ease of use, reliability and performance. And if you find yourself on the road without an internet connection, don’t hesitate to give us a call: we will place your orders for you, entirely free of charge.